Sheffer Law Firm PLLC is proud to have been featured in Newsweek magazine several times during 2012, including their final print magazine from December 31, 2012. 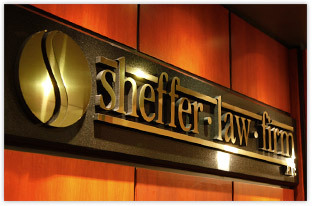 John Sheffer was first recognized as one of Ten Leading Attorneys in Asbestos Law nationwide. He was featured in the February 27, 2012 publication. This was followed by being recognized in Newsweek’s 10 Leading Product Liability Attorneys Showcase in the April 9, 2012 publication. In Newsweek’s final print edition from December 31, 2012, Sheffer Law Firm PLLC is included in 2013 Attorney Showcase. It’s an honor to have been selected by Newsweek and included in their Attorney Showcases.